Low-carb diets are nothing new. If you haven’t tried the Keto diet or the Atkin’s diet, you’ve likely heard of them. Many people consider these “fad” diets, and they very well may be, but fad or not, research does suggest that cutting carbs could be an effective way for people who have lost weight to keep it off. One study, which looked at people who were trying to maintain weight loss, found that the participants burned more calories when they adhered to a low-carb diet, versus a high-carb diet. Among those with the same average body weight, those who ate a low-carb diet burned about 250 more calories a day than those who ate a diet high in carbohydrates, even though both groups engaged in similar levels of physical activity. 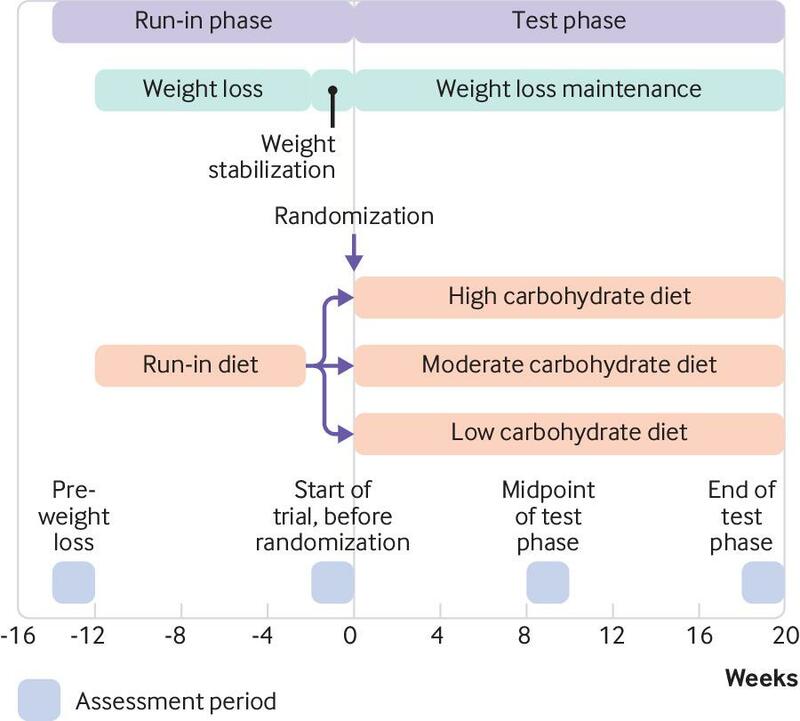 The study was designed to test what is known as the “carbohydrate-insulin model of obesity.” Here’s the gist of the model: processed carbs that have a high glycemic index cause fat cells to store excess calories instead of burning them. Foods that rank high on the glycemic index dump sugar into the bloodstream more quickly than foods that are low on the index. Studies suggest that in the short-term (about 2 weeks or less), there is no difference between high-carb and low-carb diets in terms of daily calories burned. However, Ludwig and his colleagues spent 5 months investigating the potential differences for the latest study. Researchers provided the volunteers’ meals, all of which contained the same daily calorie count and 20% protein. One group’s diet contained 20% fat and 60% carbs. Another group’s diet consisted of 40% fat and 40% carbs. The 3rd group’s diet contained 60% fat and 20% carbs. Those who consumed the lowest levels of carbs had burned the most calories at the end of the study period. These participants also had lower levels of hunger, and the hormones grehlin and leptin. Grehlin is a hormone that increases appetite, while leptin signals the brain and other organs to decrease appetite, among other things. 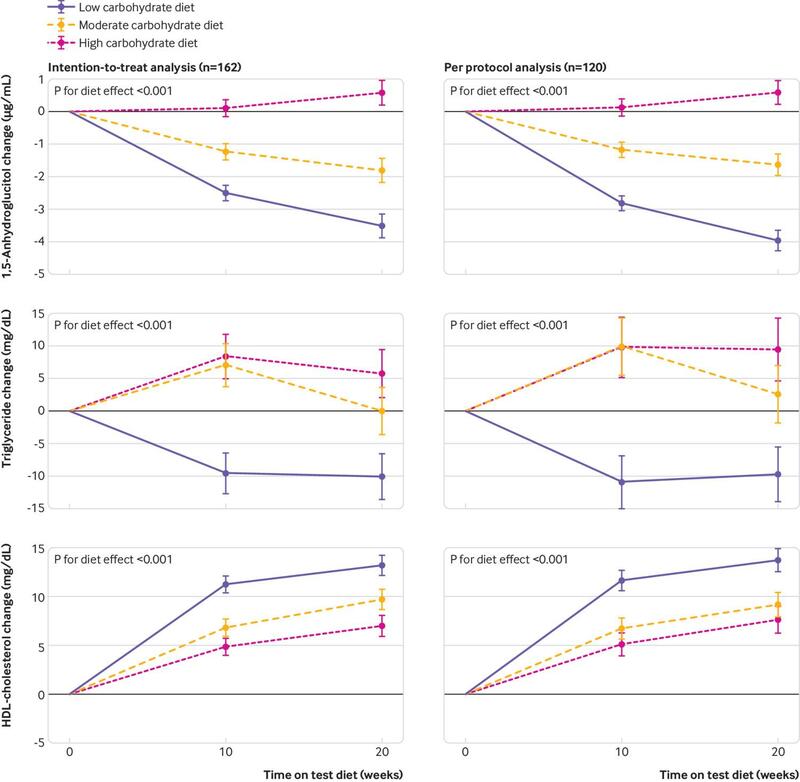 Participants in the low-carb group burned 209 to 278 calories a day more than those in the high-carb group, which meant they burned 50 to 70 calories more a day for every 10% decrease in carbs to their total energy intake. 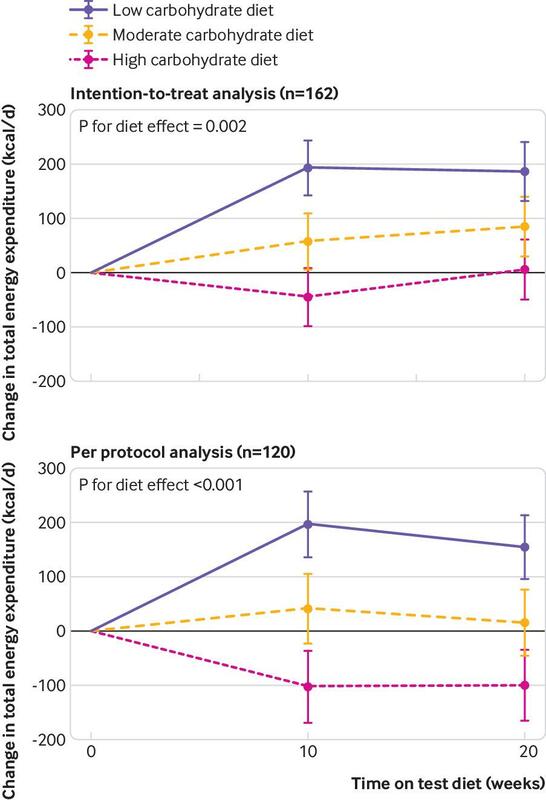 Participants who secreted the most insulin at the start of the study saw an even more startling difference in energy expenditure: those on the low-carb diet burned up to 478 calories a day more than those in the high-carb group. Ludwig said this means that those in the low-carb group could expect to lose about 20 pounds more a year than those in the high-carb group. This is just more evidence that going low-carb or adopting a ketogenic diet can lead to weight loss. The study was published November 14 in the BMJ.